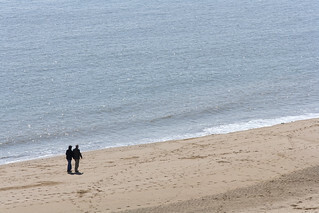 The Contra Trail – a gentle 6.1 mile (9.8km) walk that leads past the hustle and bustle of modern Ramsgate, down the gently undulating Isle of Thanet Coastal path and into the natural peace and tranquillity of Pegwell Bay, is everything a walk should be, and much more besides. And thanks to the wonderfully diverse range of pubs, restaurants and local attractions on the route, it’s one you can enjoy with a full belly and a spring in your step. 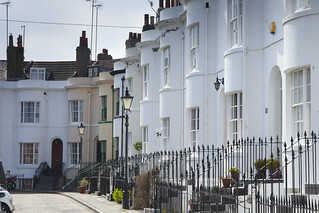 Your walk begins in the heart of the only British harbour that can claim to be ‘Royal’ – a unique honour that followed a visit to Ramsgate in 1820 by King George IV, who was so moved by the warmth and hospitality he received from his commoners, that he officially decreed the harbour to be ‘Royal’. It will introduce you to a vibrant, modern town steeped in history at every turn. 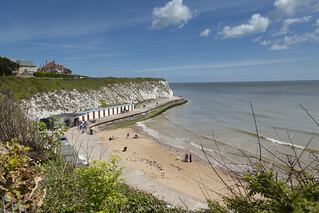 Elegant Georgian houses, traditional fishermen’s cottages, stylish terraced restaurants and busy pubs such as the Churchill Tavern, a local inn with an authentic country atmosphere, a wide-ranging selection of quality real ales and a complimentary starter or dessert with any main meal for all Active Ramsgate walkers. Along the way you will pass the beautiful marina with its array of boats and yachts… with the start of the walk just a stone’s throw from the best chip shop in Britain. It’s official! A wealth of sights, old and new, all help create a perfect backdrop to this perfectly British walk. Savour every moment though, because you will soon be leaving the hustle and bustle of this extraordinary harbour town behind as you make your way to the seclusion of the cliff top and begin the second stage of this inspired route into a wetland haven for birds.